At Sixt rent a car in Greece we aim to make your journey in this top Mediterranean holiday destination even more seamless and fun. With a wide range of premium rental vehicles on offer at affordable rates, we have just the set of wheels you need to move about in comfort and style. In addition to major airports, you can find our services in most big cities and popular vacation spots. You can rent a car in Greece at the Athens International Airport or in places like Rhodes and Mykonos. No matter which car you rent from Sixt, you can be assured that well-maintained and up-to-date vehicle as we hold our fleet to strict international safety and quality standards. Let us get you behind the wheel so you can get your journey underway! Enjoy the Mediterranean sunshine and cool off in the brilliant blue waters during your summer visit to Greece. Temperatures in Athens in July are between the mid-70s and mid-90s, while in Thessaloniki they are in the 80s and 90s. A seaside vacation in Santorini or Mykonos might be more attractive than a city visit due to the heat. But there are plenty of things to do inland and you can enjoy attractions like the Acropolis and the Parthenon. Pack your hiking boots and enjoy the outdoors at Mount Olympus or the Samaria Gorge. For something unexpected, head to Meteora where the ancient rock formations and pillars are home to several monasteries. With all of the ancient treasures and natural beauty, Greece is a worthy summer vacation destination. Are you in Greece to take in the breathtaking beauty of Santorini, or the fabulous historical sites in Athens? Whatever it is, we have the right rental vehicle for you in our leading brand fleet. You can customize your car rental in with numerous add-ons while you book online. Include extras like coverage protections, GPS, additional driver coverage, child seats and much more. Compact cars and sedans are well-suited to city travels. SUVs are great for those looking to explore various landscapes and want room for outdodor travel gear. Minivans and station wagons are good for family road trips. To rent a car in Greece with Sixt renters coming from outside the EU must possess and International Driving Permit (IDP) and have held it for at least one year. Upon collection a valid ID card or passport will also need to be presented. For car rental in Greece drivers must meet certain age restrictions. Renters must be a minimum of 21 years of age and over to rent a vehicle. Some vehicle groups are only available to those over the age of 25. Please note that there is a young driver surcharge for those renters between 21 and 22 years of age. More information is available on our Rental Information page and on the booking engine. Sixt accepts all credit cards from international companies, like American Express, Diners Club, Eurocard/Mastercard, and Visa. Keep in mind, we cannot accept prepaid cards, debit cards, or third party credit cards. You can often get better car rental deals in Greece by prepaying your rental agreement. In the unlikely event you are involved in an accident please call the police. If any damage occurs to the rental car inform Sixt immediately during the rental period and fill out the enclosed Accident Report form. 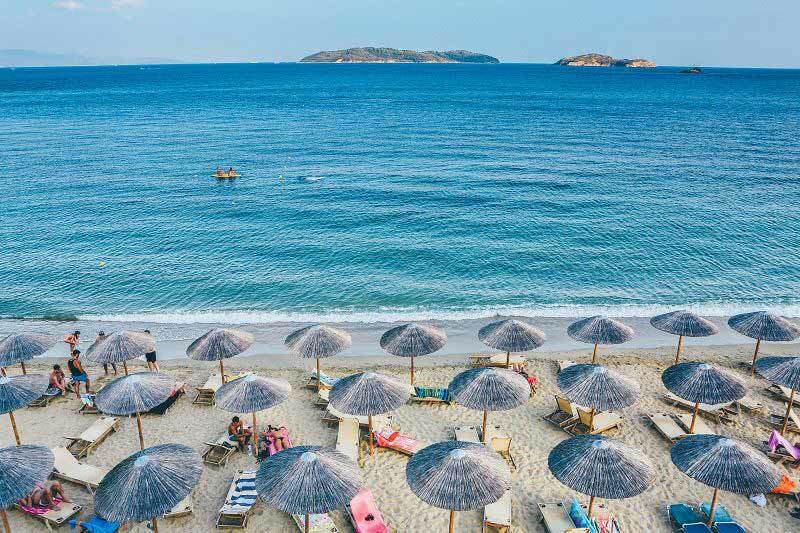 Our car rental deals in Greece do not permit cross border travel and all coverage will be invalidated if the rental vehicle leaves the country. More information can be gathered on our Rental Information page. Greece generally has well-maintained and well-signed roadways. Many new roads require a toll charge so have a look at your route before you set off. In small towns and mountainous areas be prepared that roadways will most likely be narrower than what you are used to. As far as main routes, Greece's oldest and most important road is Motorway 1 (A1), or the PAThE motorway. Motorway 64 (A64), also known as the Hymettus Beltway, is a section of Attiki Odos that branches off from the main A6 route. This road serves eastern Athens and is being extended further south and east to Vouliagmeni and Rafina. Other motorways branch from these main routes and can take you to many destinations around the country. Generally speed limits are 50 km/h on urban roads, 90 km/h on non-urban roads, and between 110-130 km/h on Motorways/expressways. Stavros Niarchos Foundation Cultural Centre is a cultural complex within a park next to the Bay of Phaleron in Athens and includes facilities for the National Library of Greece. The ancient Greek Epidaurus Theater was built in the 3rd century and situated on the west side of Cynortion Mountain, near the town of Lygouri. If you are lucky enough to visit during the summer, you can marvel in the amazing acoustics during a live performance. The UNESCO listed Meteora Monasteries are a complex of Greek Eastern Orthodox monasteries precipitously built on conglomerate pillars near the Pindus Mountains. The Tunnel of Eupalinos was built in the 6th century BC as an aqueduct. It is over 1,000 meters long and sits on the Island of Samos, Greece. With two basins, one very hot and one simply hot, there is a hot spring at Samothrakie to suit most people. The water is salty with an air of sulphur, and mythical legends say it spurs fertility. Melissani Cave on the island of Kefalonia is more than a simple opening in the rocks. You can actually take a boat trip through this cave while the sun shines on you from above. Samaria Gorge, is found in the National Park of Samaria in the White Mountains of western Crete. The Giola is a natural sea lagoon, much like a swimming pool, carved into the rock near Astris on the island of Thassos.